Married Name 18 February 1939 As of 18 February 1939,her married name was Vogt. Geneva Decot was born on 17 July 1921 at Sauk, Wisconsin. She was the daughter of Frank H. Decot and Blanche W. Schilling. Geneva Decot married Fred R. Vogt on 18 February 1939. Geneva Decot died on 21 May 2006 at age 84 Geneva R. Vogt, age 84, of Reedsburg, died suddenly on Sunday, May 21, 2006, in her home. She was born on July 17, 1921, in the town of LaValle, Sauk County, daughter of Frank and Blanche (Schilling) Decot. On Feb. 18, 1939, she was married to Fred R. Vogt. He preceded her in death on Oct. 12, 2005. Geneva worked at the Reedsburg Woolen Mill for many years. She and Fred then lived in Chicago, Ill., until their retirement when they returned to Reedsburg. Survivors include seven sisters, Mabel Burgess, Alice Lombard and Jeanette Werner, all of Reedsburg, Lois (Austin) Luke of Lake Delton, Ramona McHenry of Reedsburg, Elaine (Glen) Jensen of Madison and Patricia (Jim) Murdock of Reedsburg; a brother, Robert (Dorothy) Decot of Reedsburg; many nieces and nephews; other relatives and friends. She was also preceded in death by three sisters, Marjorie Decot, Lorraine Frayer and Eleanore Laridaen; and a brother, Donald Decot. Funeral services will be conducted at 11 a.m. on Thursday, May 25, 2006, at the HOOF FUNERAL HOME, Reedsburg. Interment will be at the Resting Green Cemetery, Ironton. The family will receive friends from 5 p.m. until 7 p.m. on Wednesday, May 24, 2006, at the funeral home. The Hoof Funeral Home is serving the family. Fred R. Vogt was born on 2 March 1915. He married Geneva Decot, daughter of Frank H. Decot and Blanche W. Schilling, on 18 February 1939. Fred R. Vogt died on 12 October 2005 at age 90 Fred R. Vogt, age 90, died suddenly on Wednesday, Oct. 12, 2005, in his home. Funeral services will be conducted at 11 a.m. on Saturday, Oct. 15, 2005, at the HOOF FUNERAL HOME in Reedsburg, with Father Thomas Monaghan officiating. Interment will be in Resting Green Cemetery at Ironton. The family will receive friends from 4 p.m. until 7 p.m. on Friday, Oct. 14, 2005, at the funeral home. Married Name 22 October 1955 As of 22 October 1955,her married name was Werner. Jeanette E. Decot was born on 4 September 1925 at Wisconsin. Jeanette E. Decot married Friedrich W. Werner on 22 October 1955. Jeanette E. Decot died on 21 February 2011 at age 85 Jeanette E. Werner, age 85, formerly of Reedsburg, died on Monday, Feb. 21, 2011, at the Clearview Nursing Home in Juneau. She was born on Sept. 4, 1925, in the Township of LaValle, Sauk County, the daughter of Frank and Blanche (Schilling) Decot. On Oct. 22, 1955, she was married to Friedrich W. Werner. Jeanette worked at Stella Foods, retiring in 1996. Survivors include four sisters, Alice Lombard of Reedsburg, Lois (Austin) Luke of Lake Delton, Elaine Jensen of Pardeeville, and Patricia Murdock of Reedsburg; two sisters-in-law, Dorothy Decot and Frances Decot, both of Reedsburg; many nieces and nephews; and other relatives and friends. She was preceded in death by her husband, Fred on Feb. 28, 2006; her sisters, Mabel Burgess, Eleanor Laridean, Mary Lorraine Frayer, Geneva Vogt, Ramona McHenry and Marjorie Decot; and her brothers, Donald and Robert Decot. Funeral services will be conducted at 11:30 a.m. on Monday, Feb. 28, 2011, at SACRED HEART CATHOLIC CHURCH in Reedsburg with Deacon Tom Hale officiating. Interment will be in Calvary Cemetery. The family will receive friends from 2 p.m. to 5 p.m. on Sunday, Feb. 27, 2011, at the HOOF FUNERAL HOME in Reedsburg. Memorials to the Reedsburg Area Historical Society would be appreciated. The Hoof Funeral Home is serving the family. Name Variation Friedrich W. Werner was also known as Fred. Friedrich W. Werner married Jeanette E. Decot, daughter of Frank H. Decot and Blanche W. Schilling, on 22 October 1955. Friedrich W. Werner died on 28 February 2006. Robert M. Decot was born on 2 August 1926 at Wisconsin. He was the son of Frank H. Decot and Blanche W. Schilling. Robert M. Decot died on 3 December 2010 at age 84 Robert M Decot, age 84, of Reedsburg, died on Friday, December 3, 2010 at St Clare Meadows in Baraboo from injuries sustained from a fall at his home. He was born on Aug 2, 1926 in the Town of La Valle, the son of Frank and Blanche (Schilling) Decot. Bob was a veteran of WWII serving with the U S Army. On Nov 20, 1948, he was married to the former Dorothy A Weir. Bob worked at Big Joe's in Lake Delton for many years until his retirement. He enjoyed fishing, taking care of his yard and telling stories. He was preceded in death by his daughter, Eileen Richardson, in 1989; one brother, Donald Decot; and six sisters, Marjorie Decot, Mary Lorraine Frayer, Eleanore Laridaen, Geneva Vogt, Mabel Burgess and Ramona McHenry. Survivors include his wife, Dorothy; two daughters, Barb (Evan) Steinhorst of Reedsburg and Becky (Steve) Ball of Janesville; his son-in-law, Alan Richardson of Stanley; 4 grandchildren, Valerie (Jim) Humphrey, Jim Fawcett, Alicia Ball and Gorman Richardson; two great-granddaughters, Terra and Lyla; five sisters, Alice Lombard of Reedsburg, jeanette Werner of Juneay, Lois (Austin) Luke of Lake Delton, Elaine Jensen of Madison and Patricia Murdock of Reedsburg; many nieces and nephews. Military rites will be conducted by the Reedsburg VFW following the service. Married Name Her married name was McHenry. Ramona H. Decot married Ken McHenry, son of Lloyd McHenry and Molly Butcher. Ramona H. Decot was born on 22 August 1930. Ramona H. Decot died on 14 June 2006 at age 75 Ramona H. McHenry, age 75, died unexpectedly on Wednesday, June 14, 2006, at her home. Funeral services will be conducted at 10:30 a.m. on Saturday, June 17, 2006, at SACRED HEART CATHOLIC CHURCH, Reedsburg. There will be a visitation from 5 p.m. until 8 p.m. on Friday, June 16, 2006, at the HOOF FUNERAL HOME, Reedsburg. In lieu of flowers, memorials would be appreciated. Ramona H. Decot obtained US Social Security Card at Wisconsin; last residence Reedsburg, Sauk, Wisconsin. Ken McHenry married Ramona H. Decot, daughter of Frank H. Decot and Blanche W. Schilling. Ken McHenry was born on 28 September 1929 at Wisconsin. He was the son of Lloyd McHenry and Molly Butcher. Ken McHenry died on 6 August 1994 at age 64. Name Variation James Murdock was also known as Jim. James Murdock died after May 2006. Austin Luke was born on 15 December 1928. He was the son of Robert Luke and Mary Snyder. Austin Luke died after May 2006. Glen Jensen died after May 2006. Name Variation Mary Lorraine Decot was also known as Lorraine Mary. Married Name Her married name was Frayer. Mary Lorraine Decot was born on 20 September 1918 at Lavalle, Sauk, Wisconsin, also reported as 23 Feb 1926. Mary Lorraine Decot died on 1 April 1999 at Sauk, Wisconsin, at age 80. Married Name Her married name was Tucker. Yvonne M. Laridaen married Billy Leon Tucker. Yvonne M. Laridaen was born on 1 March 1937. She was the daughter of Francis L. Laridaen and Eleanore J. Decot. Yvonne M. Laridaen died on 18 May 2002 at age 65. 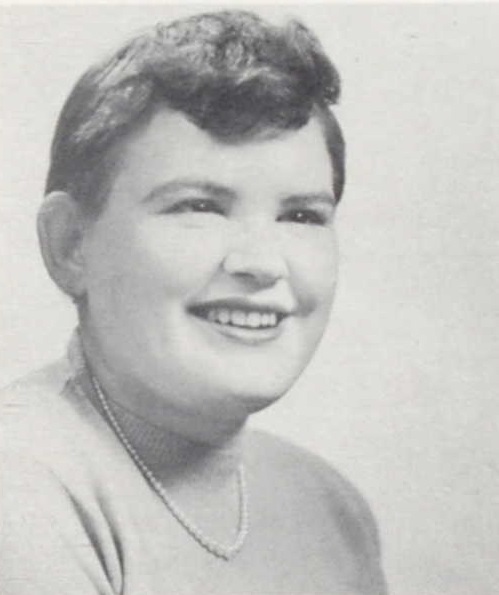 Yvonne M. Laridaen graduated in 1955 at Reedsburg High School, Reedsburg, Sauk, Wisconsin. Billy Leon Tucker married Yvonne M. Laridaen, daughter of Francis L. Laridaen and Eleanore J. Decot. Billy Leon Tucker was born on 7 October 1936. He died on 6 October 1974 at age 37. Name Variation Marjory Decot was also known as Marjorie. Name Variation Marjory Decot was also known as Margie. Marjory Decot was born in 1923 at Wisconsin. Marjory Decot died on 7 October 1939. Donald Frank Decot was born on 4 September 1927 at Wisconsin. Donald Frank Decot married Frances A. Brown, daughter of Clark Brown and Mary Anderson, on 4 November 1946. Donald Frank Decot died on 27 May 1995 at Sauk, Wisconsin, at age 67. Donald Frank Decot obtained US Social Security Card at Wisconsin; last residence La Valle, Sauk, Wisconsin. Name Variation Bernice B. Lada was also known as Berniece. Married Name Her married name was Horkan. Bernice B. Lada married John B. Horkan, son of John Horkan and Mary Ellen Mullarkey. Bernice B. Lada was born in 1914. William W. Holton was born on 28 March 1897. He married Florence E. Horkan, daughter of John Horkan and Mary Ellen Mullarkey, before 1932. William W. Holton died on 1 May 1932 at Chicago, Cook, Illinois, at age 35. Thomas Keady was born in 1876. He married Florence E. Horkan, daughter of John Horkan and Mary Ellen Mullarkey, after May 1932. Thomas Keady died in 1945. Esther A. (?) married Joseph Edward Horkan, son of John Horkan and Mary Ellen Mullarkey. Esther A. (?) was born in 1910. Theresa Horkan was the daughter of William P. Horkan and Alice M. Taylor. Theresa Horkan died in March 1928. Name Variation Jerome Horkan was also known as Jed. Jerome Horkan was born on 24 August 1938. He was the son of John B. Horkan and Bernice B. Lada. Jerome Horkan died on 31 December 2015 at age 77 Jerome (Jed) Horkan, age 77, of Reedsburg, was called to his forever home in Heaven on December 31st, 2015. He was surrounded by his loved ones at UW Hospital as he was welcomed into the Lord's arms. Jed was born on Aug. 24, 1938, and lived his entire life in and around Reedsburg, WI. On June 4, 1960, Jed married the love of his life, Lois Langdon, and for 55+ years they shared a wonderful life. Jed was an active member of Knights of Columbus and American Legion Post 350, Reedsburg. He worked at Reeds’ Gas and Electric; R.S. and L. Co-op; North American Heating ; Prairie Plumbing and Heating and for his son at All Around Home Maintenance. He also worked at Viking Grocery as a delivery man and then spent 5 summers at Yogi Bear Jellystone Park in Wi. Dells as a grounds keeper. He was a member of the Army National Guard for 9 years and spent time during the Berlin Crisis at Fort Lewis, Washington. He was a Greeter at Sacred Heart Church, a generous volunteer at the Sacred Heart Church Food Pantry every month. He could be seen sitting in church almost every weekend which was very important to him. He was known to many as the "kraut" man and could be found tending his garden and canning his kraut, pickles and tomatoes. Jed enjoyed the outdoors, hunting, fishing, and loved working hard in the sunshine. The only time Jed could be found sitting is when his home teams, Green Bay Packers or Wisconsin Badgers were playing on TV. As soon as it was half time you could hear him saying, “Well, I gotta!” meaning he had to get up and squeeze in whatever little bit of work he could get done during that half time break. He enjoyed immensely their two trips to Ireland to visit the Horkan’s on the other side of the ocean, and their trip to Missouri to visit “ole” friends. Jed is preceded in death by his son, Gary Lee; his parents, John B and Berniece Horkan; his brother, John; and in-laws, Dewey and Delta Langdon and a host of friends. He is survived by his wife, Lois (Langdon) Horkan of Reedsburg, WI; his sons, Dan (Jackie) Horkan of Lodi,WI, and Randy (Jennifer) Horkan of Reedsburg, WI. Jed adored his grandchildren and great-grandchildren. He loved attending their sports events, church programs, and school activities. His grandchildren are: Kristen (Jake) Konopacki, Jessica (Matt) Oberg, Jessie Horkan ,and her fiancee, Matt Stauffacher, Edward (Shannon) Pike, Abigael Horkan, and Lilliana Horkan. He was also blessed with 2 great-grandchildren, Peyton and Avery Oberg; sisters, Helen Knuth and Bernadine (Bob) Walsh; brothers, Edward (Judy) Horkan, Larry (Janice) Horkan; and his very special 4-legged kids, Benni and Bambi who were his pride and joy. Funeral services for Jerome “Jed” Horkan will be conducted at 11:30 AM on Wednesday, January 6, 2016, at Sacred Heart Catholic Church, Reedsburg. Visitation will be held at the Farber Funeral Home in Reedsburg (Hwy H) from 4:00 p.m. until 8:00 p.m. on Tuesday, January 5th with a Knights of Columbus Scripture Service at 3:45 p.m. There will also be a visitation at Sacred Heart Church from 10:00 a.m until the time of services at 11:30 a.m on Wed. Jan. 6th. Following the service, military rites will be performed in front of Sacred Heart Church by American Legion Post 350. In Lieu of flowers, memorials to the family may be made. Gary Lee Horkan died in 1965. He was the son of Jerome Horkan. Catherine C. Coughlin married George Patrick Horkan, son of James Horkan and Mary Gallagher. Catherine C. Coughlin was born on 24 February 1883. She died on 19 March 1962 at age 79. Name Variation Andrew J. Dwyer was also known as A. J.
Andrew J. Dwyer married Katherine B. Dorgan, daughter of Lawrence W. Dorgan and Mary Killoy. Andrew J. Dwyer was born in 1871 at Wisconsin. He died on 25 March 1939. Dr. Andrew W. Dwyer was born on 17 October 1913. He was the son of Andrew J. Dwyer and Katherine B. Dorgan. Dr. Andrew W. Dwyer died on 3 September 1949 at age 35. Dr. Andrew W. Dwyer was a Captain in U. S. Coast Guard. He graduated in 1931 at Reedsburg High School, Reedsburg, Sauk, Wisconsin. Name Variation Kathryne B. Dwyer was also known as Katherine. Married Name Her married name was Nowatney. Kathryne B. Dwyer married Ralph J. Nowatney. Kathryne B. Dwyer was born on 19 September 1900. She was the daughter of Andrew J. Dwyer and Katherine B. Dorgan. Kathryne B. Dwyer died on 18 September 1984 at age 83. Ralph J. Nowatney married Kathryne B. Dwyer, daughter of Andrew J. Dwyer and Katherine B. Dorgan. Ralph J. Nowatney was born in 1885. Lucille E. Dwyer married Dr. Menelaus P. Peters. Lucille E. Dwyer was born on 28 March 1904. Lucille E. Dwyer died on 16 March 1975 at age 70. Dr. Menelaus P. Peters married Lucille E. Dwyer, daughter of Andrew J. Dwyer and Katherine B. Dorgan. Dr. Menelaus P. Peters was born on 13 March 1900. He died on 28 July 1980 at age 80. Married Name Her married name was Beckwith. Mary A. Dwyer married John F. Beckwith. Mary A. Dwyer was born on 31 January 1911. Mary A. Dwyer died in November 1974 at age 63.